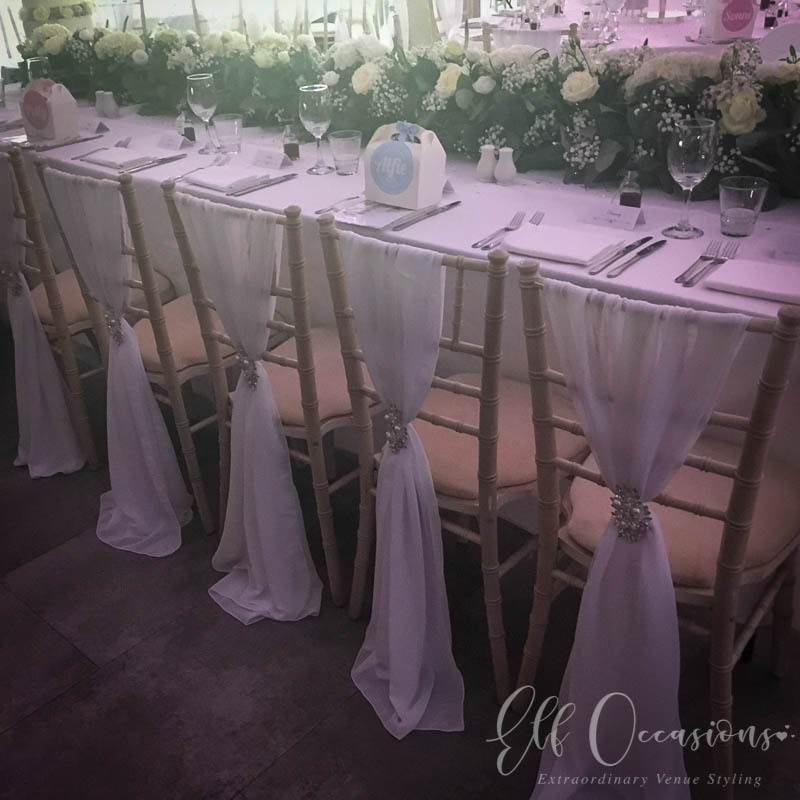 Chair cover hire can totally transform the look of your venue, covering standard hotel and banqueting chairs where the colour or style does not fit your wedding theme. 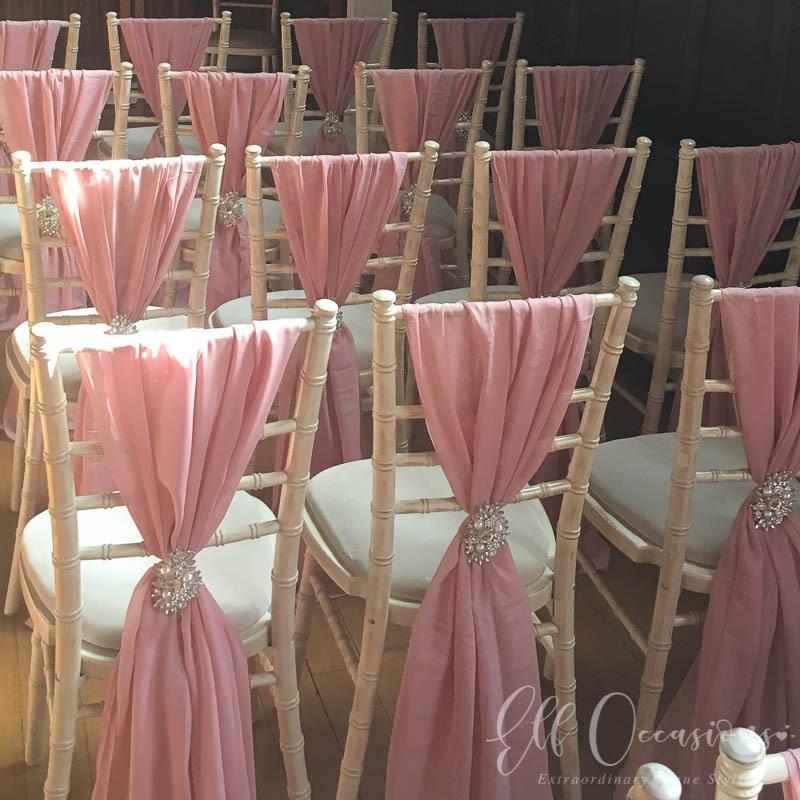 We offer high quality; freshly laundered and pressed chair covers for hire in venues across Essex and surrounding locations. 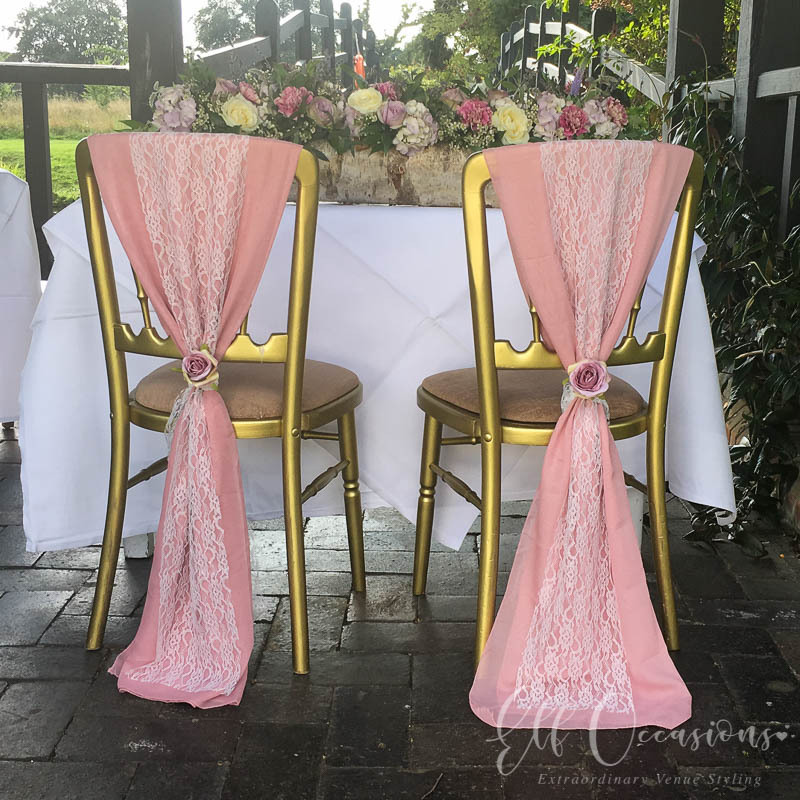 We have several different chair cover styles to choose from for your wedding or special event. 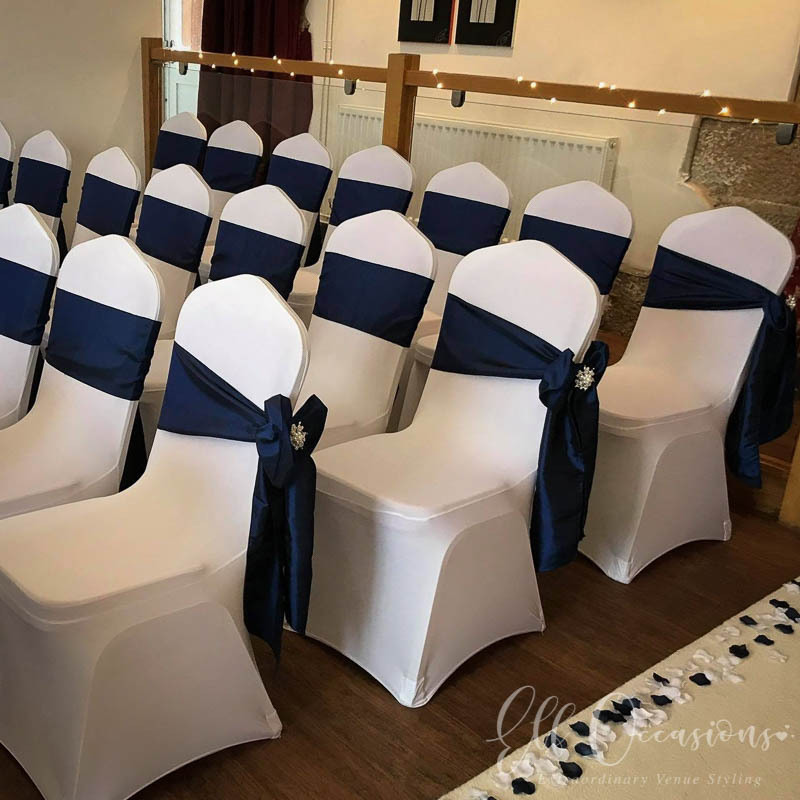 From freshly pressed cotton chair covers to versatile, premium quality stretch lycra chair covers. 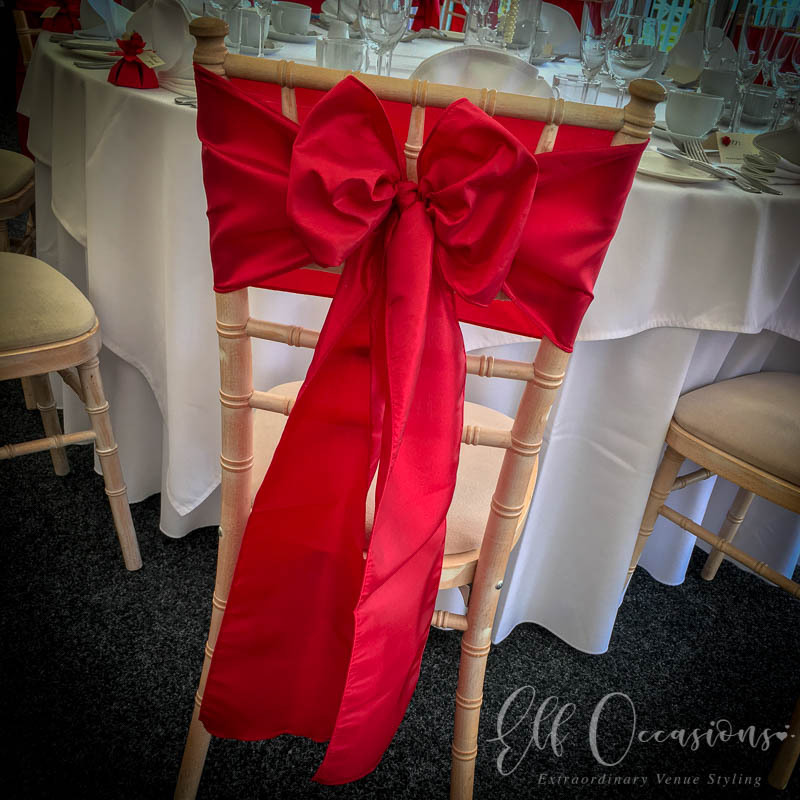 We stock the best thickness available to ensure the chair covers are not see-through. 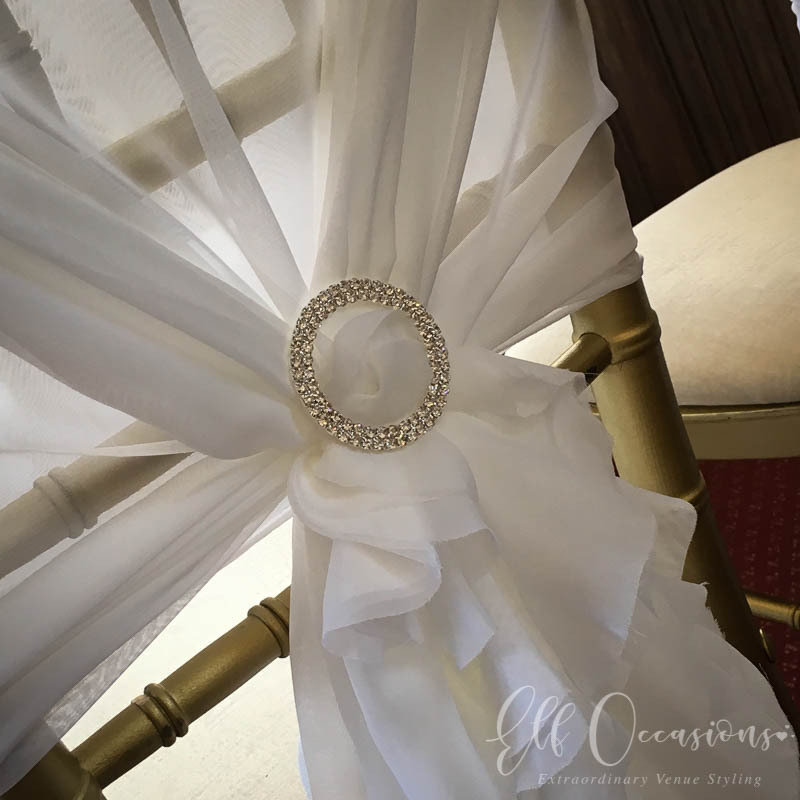 All cotton and lycra chair covers are available to hire in white, ivory or black and will include your choice of sash and a full fitting service. 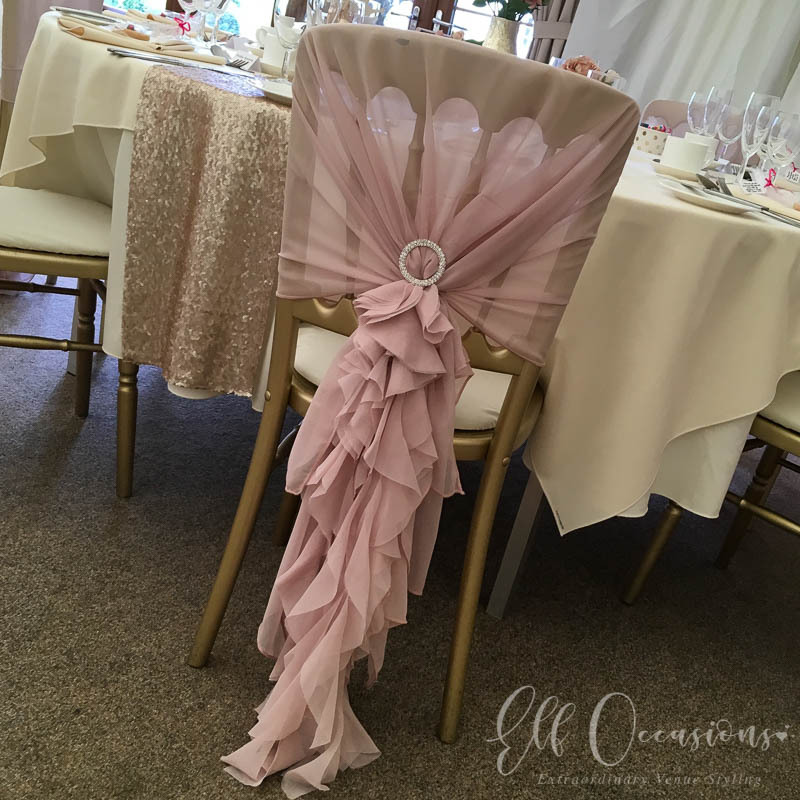 Pair your chair covers with a beautiful sash to match your style. 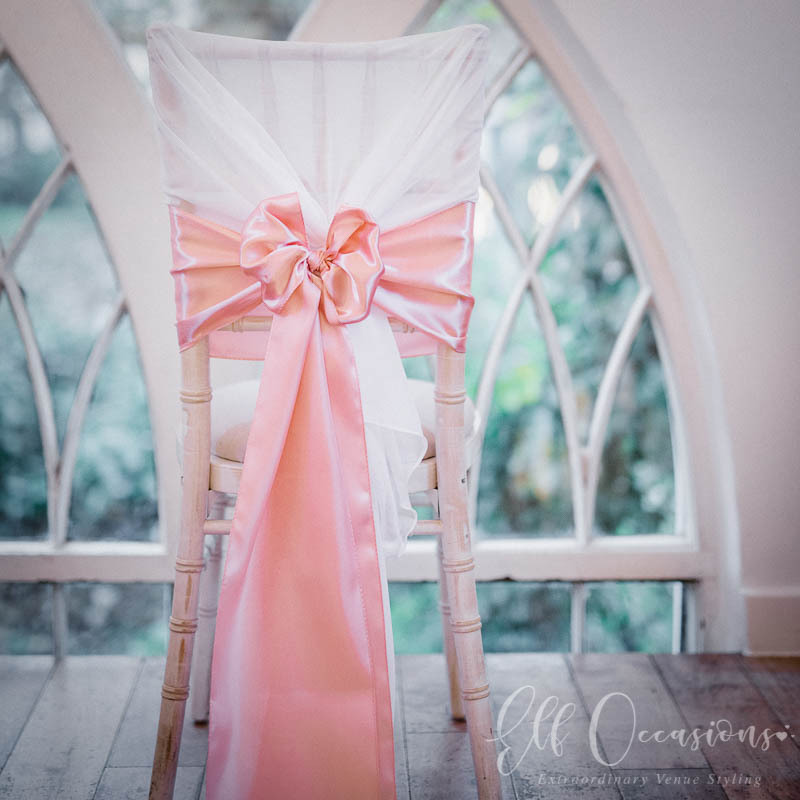 We have a large selection of sashes available including organza, taffeta, satin, hessian and lace. 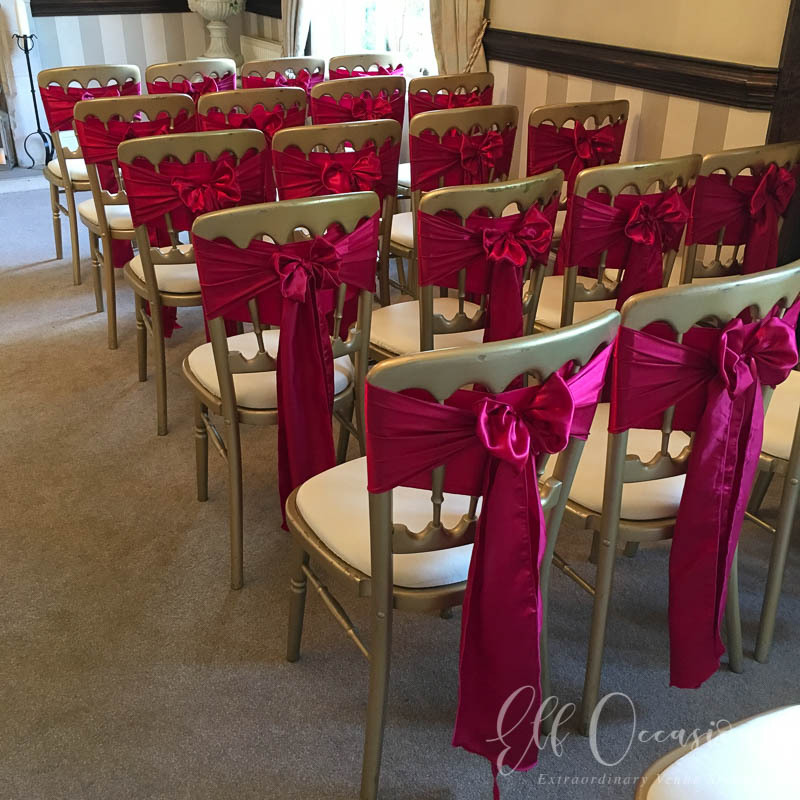 We are experts in making the design unique and are skilled in a number of ways to tie a bow! Go for something a little different – speak to us for more details. 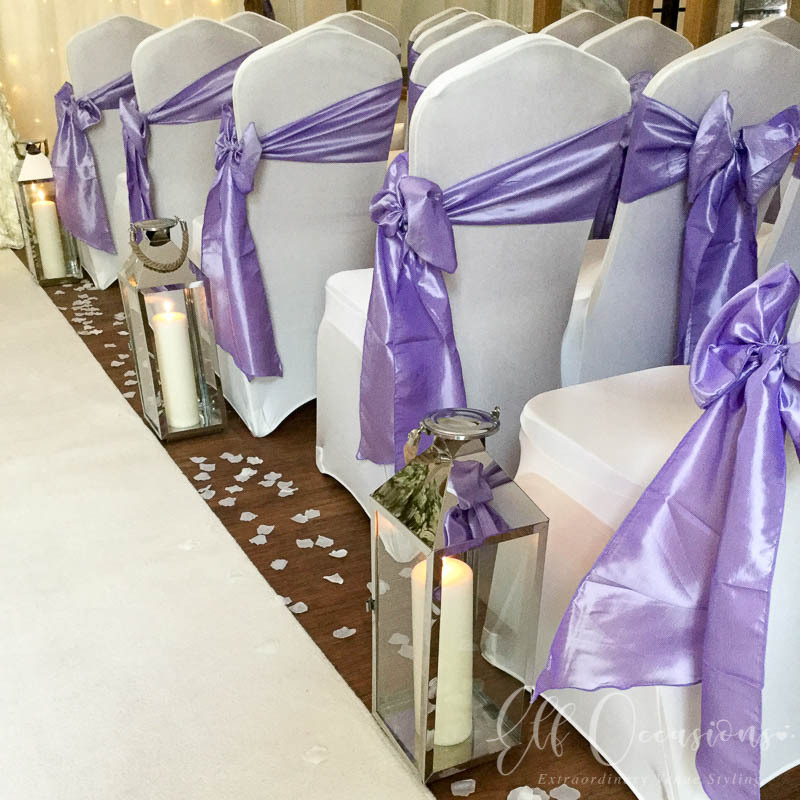 There are lots of wedding venues in Essex that have lovely chairs. Fancy something a little extraordinary? 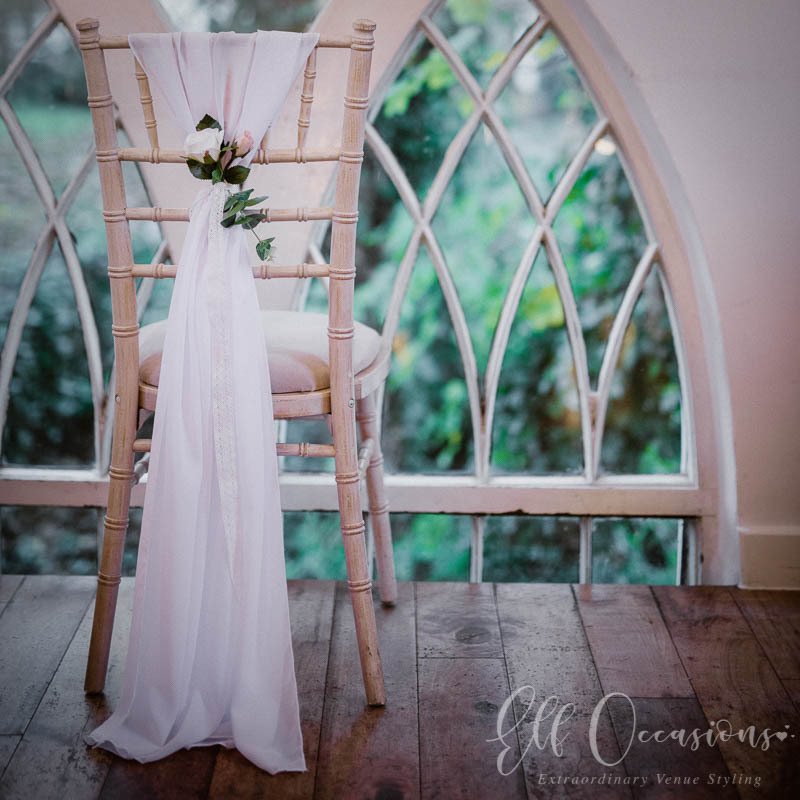 We offer beautiful chiffon chair drapes, chiffon hoods with ruffles and brooches. 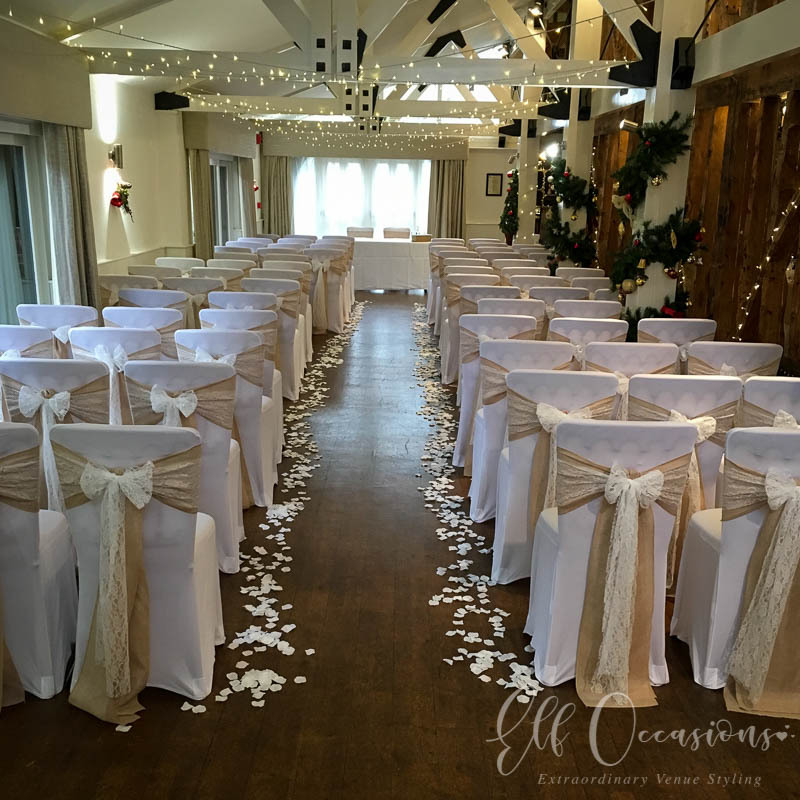 We can add unique style by adding silk flowers, or bows tied differently – the possibilities are endless! 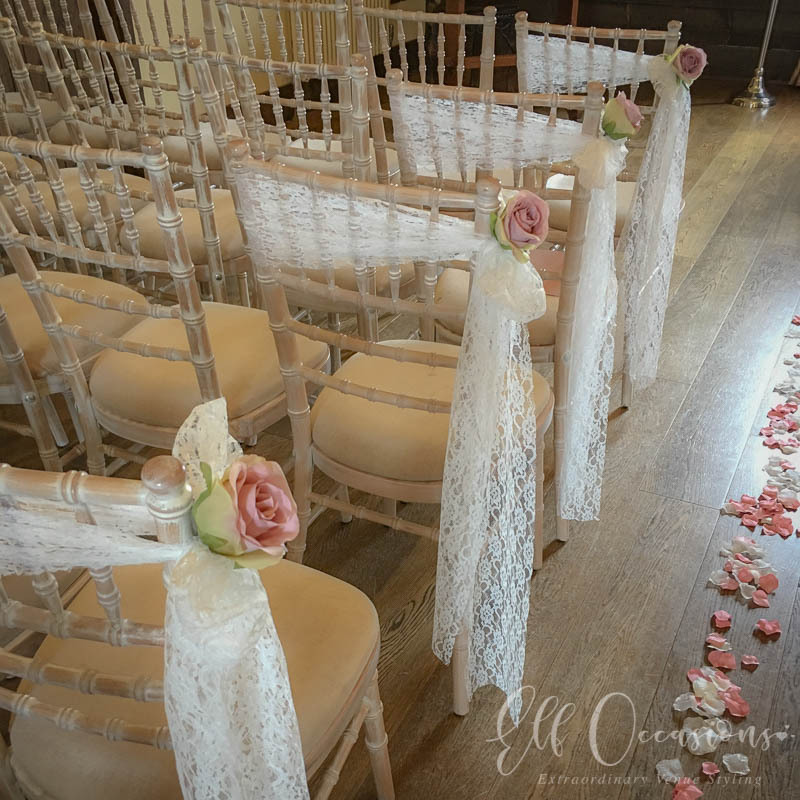 A small sample of some of our wedding chair decoration can be seen below. For an option that is perfect for you, please contact us.